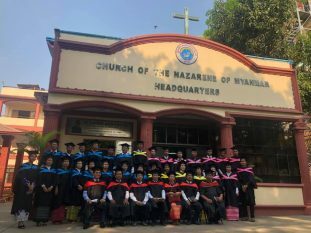 The Chapman International College’s (formerly SEANBC) graduation ceremony was held in Myanmar, Yangon on March 24. 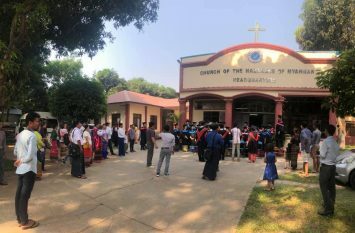 General Superintendent David Graves, CIC Chancellor Bill Kwon, Regional Director Mark Louw, and Field Strategic Coordinator David Phillips were among those who attended this event. Using Isaiah 43:18-19, GS Graves shared the message on new beginnings and a new spirit-based outlook. The recent graduates were further encouraged by Dr. Louw and inspired by their fellow students’ testimonies. Those who attended expressed joy at the event. At the ceremony, 31 people graduated with various courses. There were five Diploma of Ministry graduates, fifteen Certificate of Lay Ministry graduates, and eleven who earned a Bachelor’s in Theology.